We are pleased to welcome Reggie Kelly and KYVAN Foods to the Ambactus family! After playing for 13 years in the NFL and with some encouragement from NFL peers, Reggie decided to launch his own line of soul food. 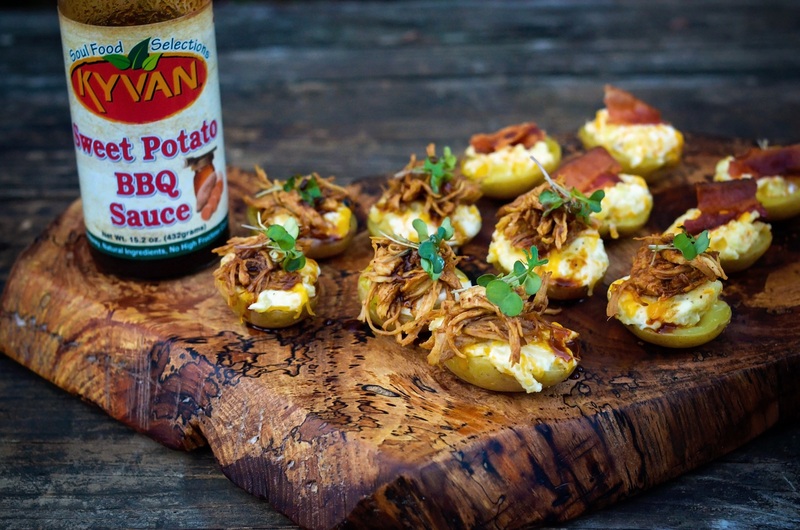 KYVAN Foods now has salsas, sauces, and seasonings as well as jams and jellies with products found in retailers like Kroger, Walmart, Publix, Sam’s Club, and Firehouse Subs. Their line of barbecue sauces and salsas are as unique as they are flavorful and contain only all-natural ingredients. If you are interested in carrying KYVAN Foods in your store, please contact Jay Johnson at jay@ambactusgroup.com. For more information about KYVAN Foods, please visit their website at http://kyvan82.com/.